In January of 1994, I was diagnosed with non-secretory multiple myeloma. I had a single plasmacytoma in my fifth cervical vertebra. I had the plasmacytoma removed and then stabilized my neck. I then received radiation to the tumor site. I was advised not to undergo further therapy to follow the progression of the myeloma. In February of '95, I experienced bone pain in my iliac crest (lower back/hip bone). X-rays to the area confirmed that the single plasmacytoma had become full blown multiple myeloma with many lesions taking hold. I then began what I was told was the best course of therapy for me. Local radiation to my mid section, four courses of VAD chemotherapy, two coursed of Cytoxan chemotherapy and a peripheral blood stem cell transplant. I completed all of these therapies in 1995. Upon completion of my stem cell transplant, I was told that I was cancer free. I married my fiancee, Dawn White in September of 1996, and went on our honeymoon. Several week after my return, I experienced more bone pain and confirmed a relapse of the myeloma. I again underwent radiation to my midsection. In September of 1997, I again felt bone pain in my hip area. X-rays again confirmed the return of my myeloma. At this point my oncologist explained to me that nothing more could be done for my cancer. My cancer had not responded well do many different types of chemotherapy and that my body could no longer sustain more radiation. When I asked my oncologist if there were any alternative therapies that she knew of, she became agitated and told me that "they (alternative therapy doctors) were all charlatans!" My oncologist later testified that she thought that I would die within six months to a year. 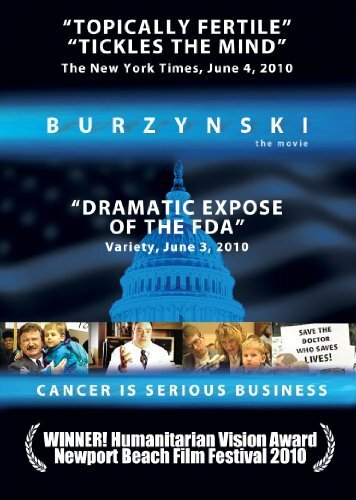 My wife and I had been doing some research on different alternative therapies for several months and at that point I decided to go visit the Burzynski Clinic in Houston, Texas. I began the liquid form of antineoplaston therapy in November of 1997, and continued this form of the therapy for the next 10 months. I then switched to the capsule form for 7 months after that. After several months, my lesions began to shrink. After the 10 months on the liquid form of antineoplastons, my lesions has almost all disappeared. I was advised to stay on the therapy but since I was sick and tired of the liquid form of antineoplastons, I agreed to continue using the capsule form. I finished taking any form of antineoplaston therapy in April of 1999. I have been in complete remission since then. I am writing this on April 19th, 2005. While I continue to struggle with many of the typical side effects from my conventional therapies, side effects like cataracts, a blood clot, chemo brain and extensive lower body nerve damage, I experienced no side effects from antineoplaston therapy.